“Spicemas Corporation has been said in the past as having no teeth… at the end of the day we have to give the Spicemas Corporation the teeth and improve the efficiency of the administration of the event, to the point where it can actually achieve some financial independence down the road,” said DeAllie who explained that he has no objection to the new penalties which received the approval of the Senate on Wednesday. “There isn’t a carnival association in the region that does not have problems,” he said while pointing out that carnival in the region is continuously evolving. Even in Trinidad where it’s described as the “greatest show on earth,” the entity organising the annual events faces challenges annually. However, Sen. Ray Roberts, Labour representative in the Senate, believes that some clauses in the legislation will be stifling creativity instead of helping the culture to grow. He is specifically objecting to the licence fees that promoters will have to pay once they are having an event during the carnival period, and the promoters having the authority to appeal to the Minister for Culture. “This does not lend the kind of support they are looking for, because the penalties are very stiff,” said Roberts, who feels that the Bill should carry less penalties instead of the EC$50,000 maximum fine that the Court can impose on those who fail to obtain the relevant licence for having an event without permission. He also believes that the Minister for Culture should not be the first person to solve a problem between the SMC and a promoter, but instead it should be left up to a tribunal. “We cannot be giving the Minister the power,” he said. In 2012, the Spicemas Corporation which is governed by a Board of Directors, became the new body to manage and market Grenada’s Carnival. It was preceded by the Grenada Carnival Committee which fell under the direct supervision of the Ministry of Culture. However, the Corporation’s greatest problem is its financial challenges, and it is presently EC$800,000 in outstanding debt. Since 2012, four different persons has served as its Chairman. With dwindling sponsorship, the management held consultation with Government seeking legal authority to enter into arrangements that can result in various avenues for income. Besides the licensing fee for competing events, the Corporation will always be able to raise money through grants, loans and licensing of its intellectual property rights for use in advertising and other forms of publications. 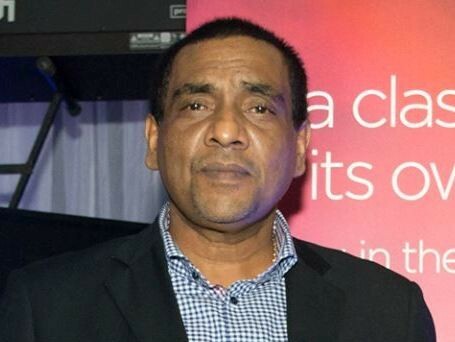 Kirk Seetahal, CEO of the SMC, said that the body receives EC$700,000 in annual subvention from Government, but the festival costs millions to host. The SMC will need EC$3.2 million to host this year’s annual event which is scheduled launched this coming Saturday.